I got a great start to July despite missing 2 of the first 4 days. The July 1st radio day (0001 Zulu) started at 7 PM local time Saturday evening. I worked at my job all day Saturday and was ready to make up for lost time. After dinner, I made 71 FT8 contacts. On Sunday, I worked 232 stations in the afternoon and 34 more after dinner – all on FT8. The next day, I worked nearly 12 hours at my job so I didn’t get any seat time in the radio room. On Tuesday after work, I took Sharon to see fireworks. We got home late so I didn’t make it to the radio that day either. Sometime on the the July 4th holiday, I passed NF3R for 4th place even before working and uploading 278 FT8 QSOs made that day. The following Saturday I worked half a day at my job and when I got home it stormed for a couple hours. When I finally got on the air, the high bands were in excellent shape with E-skip and I made 197 FT8 contacts. On Sunday I passed Bud, AA3B, for 3rd place. With full-time Chasers K3WW and S52D so far ahead, my strategy now was maintaining 3rd place. The IARU HF Championship took place on July 14 & 15. I put 14 hours in the contest and made over 1200 contacts on both CW and SSB. The contest ended at 7 AM Sunday morning. Later that afternoon my score skyrocketed and went over the 10,000 point mark. Screenshot 1 – Top 5 on July 15th after the IARU HF Championship. The RTTY North America QSO Party (NAQP RTTY) took place on Saturday July 21st. It’s a fun contest and I ended up with 725 contacts in just over 8 hours. I was happy with the result. Late Sunday morning I jumped into the CQ WW VHF Contest to find 6 meters open to the northeast and made over a hundred contacts. In the afternoon, the band opened to the west. I worked many more new grids including stations in California and Mexico. I ended up with 97 total grids on 170 contacts. Most were on SSB with a handful of CW contacts. After the contest ended that afternoon, I worked several more new grids on FT8 on 6, 10, 12, 15 & 17 meters. It was an excellent weekend on the radio. 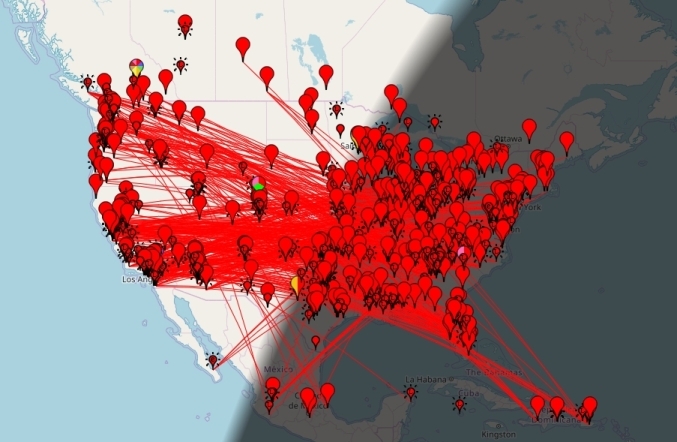 On Monday evening, July 23rd, there was a tremendous E-skip opening on six meters that went late into the night and spanned the entire continental USA. It yielded a good amount of points on the “magic” band. But the next four days sporadic E propagation was, well, sporadic. I thought it was the end of the season, but it wasn’t. E-skip continued into August. Screenshot 2 – Major six meter E-skip opening 7/23/2018 as shown on pskreporter.info. The last major opening of the season. The Radio Society of Great Britain sponsors the Islands On The Air (IOTA) contest the last weekend in July. It would be my last shot at CW and SSB points for the month. Unfortunately conditions were poor and activity was low. I only made a few contacts in the contest then went to FT8. For July, I finished 11th overall and 3rd among Chasers (behind K3WW and S52D). The other stations ahead of me were DXpeditions and special event stations. The 2,478 point total for July was my highest for the year. I got a decent start to August on FT8 despite not having my heart in it. On Sunday morning, July 29th, our cat Isabella was unable to walk and we rushed her to the emergency room. Her right rear ankle was swollen and an X-ray revealed what would end up being a tumor. She had surgery on Thursday August 2nd to take samples for a biopsy. I spent a good amount of time with Isabella that first week. 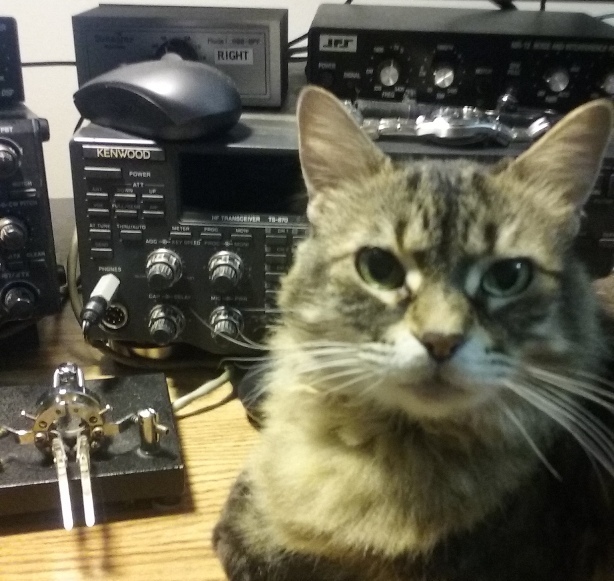 When I wasn’t with her, I operated FT8 to keep my mind off bad thoughts. By the time the first weekend came, I was still 3rd overall and 5th for the month but that really didn’t matter. The first weekend was the NAQP CW contest. I made 200 FT8 contacts in the morning before the contest started. I was then able to put in nearly a full-time effort in NAQP that resulted in 805 contacts. 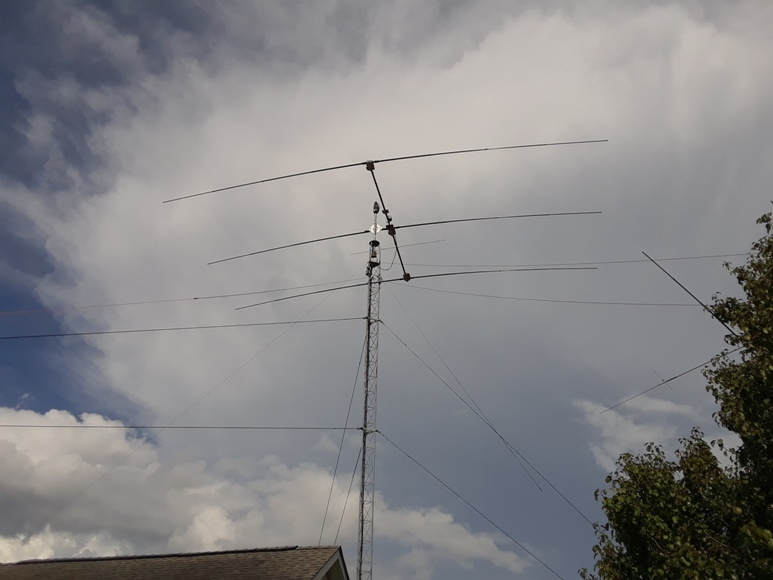 Top-Ten Chasers K3WW, AA3B, N2BJ, N3QE and W1EQ were all active in the contest. I only made a handful of contacts on Monday after work and spent most of the evening with Isabella. On Tuesday we got the results of the biopsy which revealed she had lymphoma cancer. At 13 years of age, we decided not to try to save her life by putting her through chemotherapy, radiation, and the possibility of amputating her leg. So on Wednesday the 8th, we put her to sleep. She was the last of three cats spanning 20 years. She was such a sweet cat. She loved keeping me company in the radio room. Photo 1 – Isabella was a great cat. I sure miss her. E-skip continued for the first two weeks in August. There was very little skip on the 15th and 16th but the high bands opened up nicely on Friday the 17th. On the weekend of the 18th & 19th, I operated both the SARTG RTTY and NAQP SSB contests. Despite my time being limited, I made 300 contacts in NAQP SSB and about 50 QSOs in SARTG. On the morning of Wednesday, August 22, a rare cold front blew through Louisiana. It didn’t cool us down but it did allow for three days without a chance of rain. That meant I could leave the station powered on while I was away and operate FT8 remotely. The first two days weren’t productive because I was busy, but on Friday the 24th I made 96 contacts remotely. Most of the contacts were into Europe on 17 meters as conditions were good. On Saturday the 25th, I operated the SCC RTTY Championship to the tune of just over a hundred contacts and also made a handful of CW contacts in the YO DX Contest. While operating CW that day I realized there were three state QSO parties going on – Ohio, Kansas and Hawaii. So I worked every one of those stations I heard. It was a good day, but on Sunday, the A index shot up to 80 and the K went to 6 as the result of coronal mass ejection (CME) coming off the sun. Despite the high A and K index, I was still able to find new grids to work on 20, 30 and 40 meter FT8 during the day on Sunday. I used the N1KDO Grid Mapper webpage to see what grids I still needed. It’s an excellent tool for the Grid Chase (see screenshots 4 & 5 below). Screenshot 3 – N1KDO LoTW Grid Map for 20 meters on August 25, 2018. Screenshot 4 – N1KDO LoTW Grid Map for 40 meters on August 25, 2018. Operating FT8 on 20 and 40 meters that last Sunday and into the next week was a little like duck hunting on a slow day. If you wait long enough, you’ll get one or two here and there. And that’s what happened. I just sat and waited. When a new one came along, I pounced on it. I concentrated on the low bands for the first part of the last week as the A index stayed high. Those bands were productive using the “duck hunting” method of operating FT8. 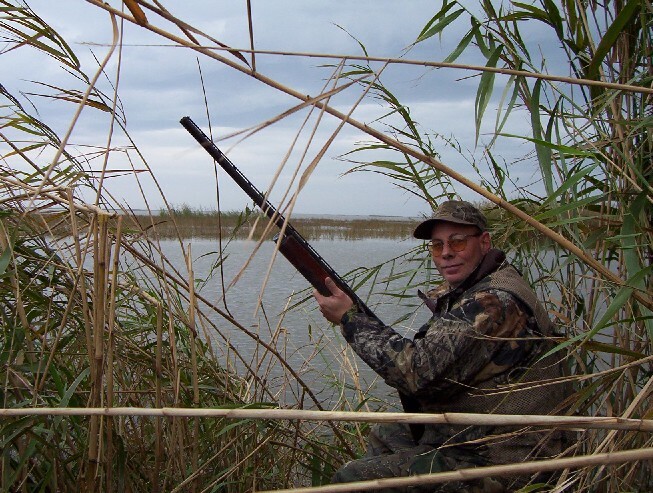 Photo 2 – Operating FT8 during the end of August was kind of like duck hunting on a slow day. As the month wound down, I was thankful there were no tropical storms or hurricanes to deal with. But on the 13th anniversary of Hurricane Katrina on August 29th, weather forecasters were telling us of a tropical wave pushing up from the Caribbean. It was forecast to become a low pressure system in the Gulf of Mexico and make landfall after Labor Day. This was not good news. As the month ended, forecasters had the storm headed right at New Orleans. I started getting nervous. I ended up 5th for the month behind the TX5T and OJ0C DXpeditions, K3WW and S52D. This meant no one behind me gained on me. Other than losing Isabella, it was a good month. I missed the CWOps CW Open on September 1st. When I saw K3WW and AA3B with huge numbers after the first day, I realized my mistake. Nonetheless, I did fairly well with FT8 the first two days while keeping an eye on that area of disturbed weather in the Caribbean. The National Hurricane Center said the system was headed toward the Central Gulf Coast. I tried operating the Russian WW RTTY Contest that weekend but activity was not great and there were more points to be made on FT8. Screenshot 5 – The red X shows an area of low pressure and the area in red is where it was forecast to go. By Labor Day, September 3rd, I was in 2nd place for the month but my attention was on the weather. That morning, the disturbance was at the tip of Florida and looking better organized. Forecasters still had it coming our way. Screenshot 6 – Low pressure system near the tip of Florida the morning of September 3, 2018 looking more organized. After making a few FT8 contacts on 160, 80 and 40 meters that morning before the sun came up, I boarded up the master bedroom windows and pulled the generator out of the garage if we needed to weather the storm at home. Being off work on Labor Day allowed me to make some early preparations – just in case. 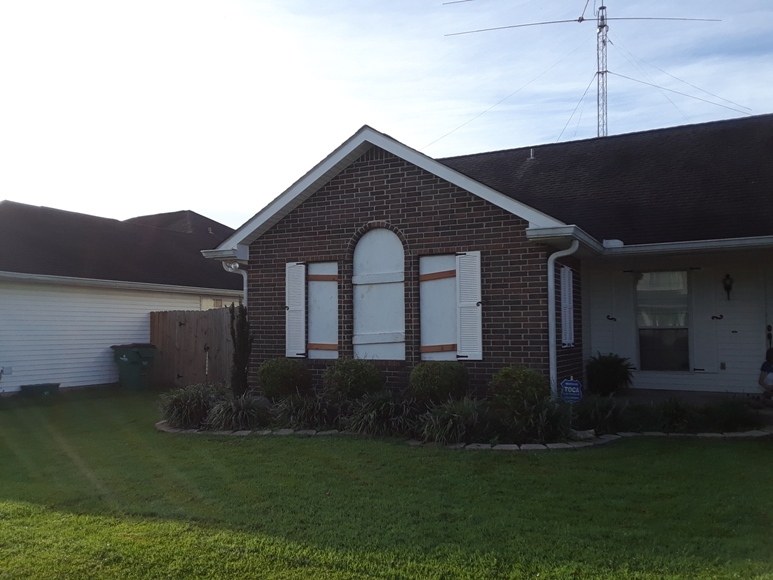 Photo 3 – Boarded up the master bedroom windows on the morning of September 3, 2018 in preparation for Tropical Storm Gordon. The generator would not start. Rather than take time see if I could fix it, I told Sharon we needed to think about evacuating. Our fear is of losing power and having to live in the house with over 90 degree temperatures and no air conditioning. Sharon made hotel reservations in Lafayette, Louisiana which is a 150-mile drive to the west on Interstate 10. With no generator and the system looking more organized, we made the call to leave the next morning if the storm was still on track for Louisiana. This decision has to be made quickly because there’s a lot to do and not much time. At 9:30 AM that morning, even before it became Tropical Storm Gordon, I removed the fiberglass poles from the main 3-element SteppIR yagi just as I did a year ago for Hurricane Nate (see how I did it then here). I do this to decrease wind load on the tower. 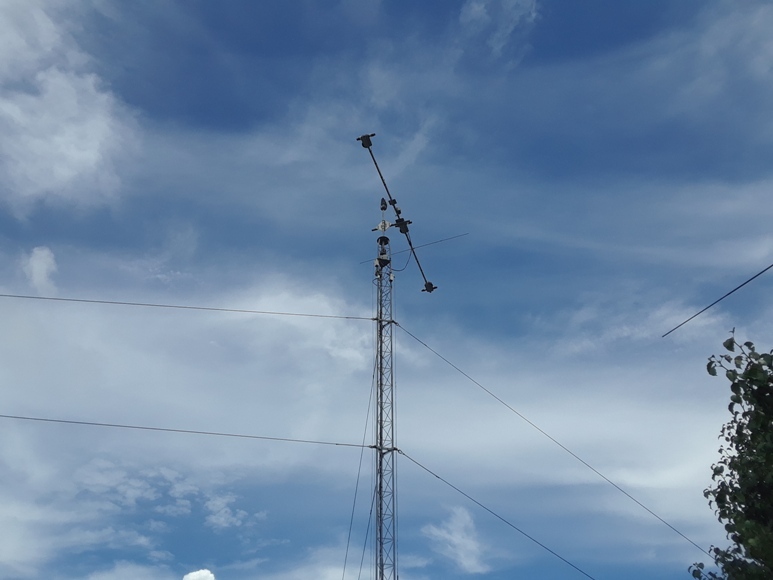 I also lowered the ends of 30, 80 and 160 meter wire antennas and taped them to the legs of the tower. Having lost antennas and towers to Hurricanes Katrina (2005), Gustav (2008) and Isaac (2012), I don’t mind protecting my assets. I left the other SteppIR yagi and Cushcraft D40 dipole on the 35′ tower intact so I could operate FT8 that day and night before we left. Photo 4 – Main 3-element SteppIR yagi with fiberglass poles removed in preparation for the arrival of Gordon. I was finished with the antennas by 1 PM and while eating lunch and operating FT8 on 20 and 40 meters, I watched the Weather Channel. Forecasters said the storm could become a hurricane. They gave it a 53% chance of impacting the New Orleans area. They put the bulls eye on the Louisiana-Mississippi border. That reinforced our decision to leave. 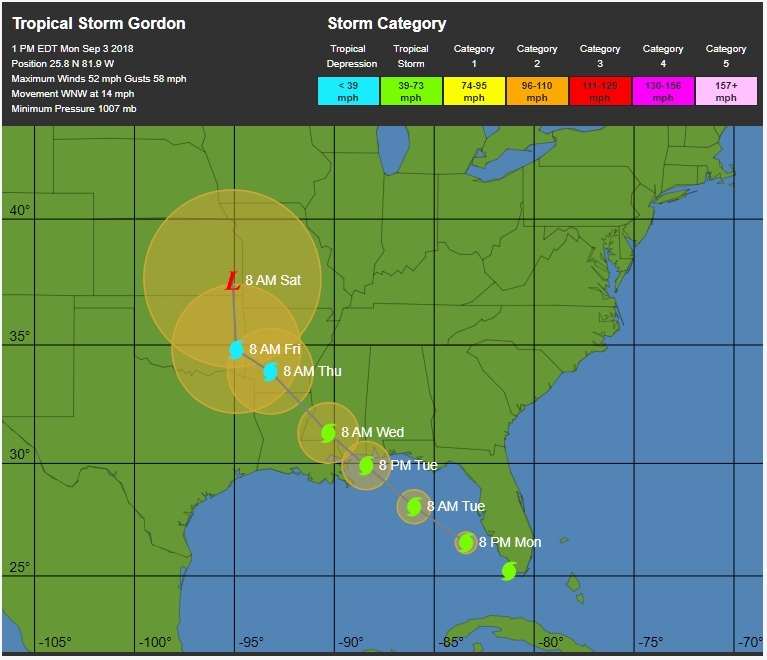 Screenshot 7 – Track of Tropical Storm Gordon at noon CDT headed toward the Louisiana-Mississippi border. 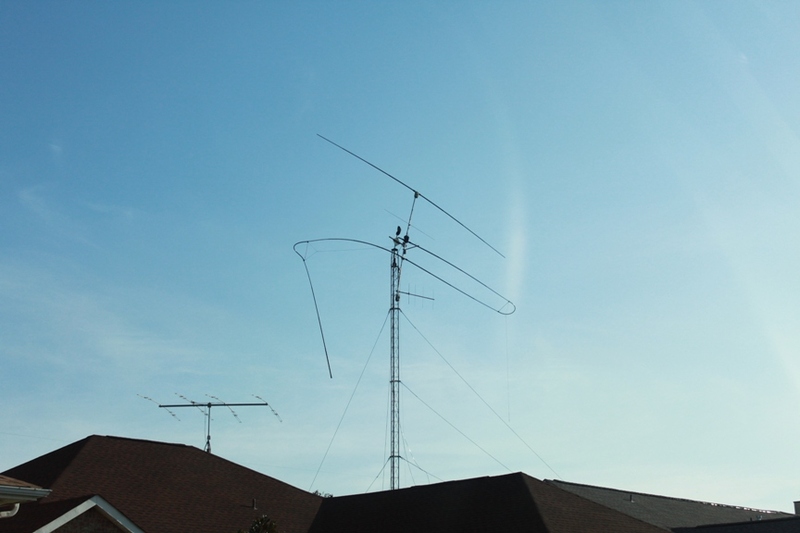 With storm preparations completed, I continued working 20 and 40-meter FT8 that afternoon. Since I would be losing a couple days of operating, I tried to get as many points as possible beforehand. Both bands were in good shape and I made over 100 contacts – nearly all new grids for the month. We left home at 5:30 AM on Tuesday morning, September 4th. Three hours later we were at the hotel and they allowed us to check in early. Throughout the day it became apparent that Gordon would not have a big impact on Louisiana as forecasters kept moving the path to the east. First they said Gulfport, then they said Biloxi. We were relieved. We relaxed in the comfort of the air-conditioned hotel room and I even went swimming for the first time in years. 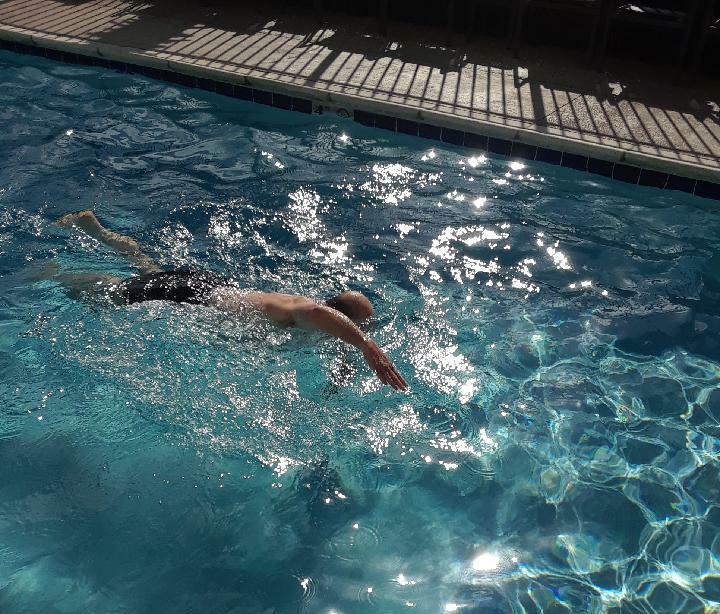 Photo 5 – Going for a swim at the hotel pool during Tropical Storm Gordon evacuation. The storm was forecast to become a hurricane just before coming ashore but that didn’t happen. Tropical Storm Gordon made landfall Tuesday night, September 4th at 10:15 PM CDT at the Mississippi-Alabama border. New Orleans was not impacted at all. Our neighbors would later tell us it didn’t even rain. We didn’t regret leaving. You just never know exactly where storms will go. It could have easily turned into Louisiana. Despite all the technology, weather forecasters cannot predict where tropical storms or hurricanes will make landfall or how strong they will actually be. It’s better to be safe than sorry. After breakfast the next morning, we drove back to our home in Harvey. Once home, I made a few contacts on 20-meter FT8 with the lower SteppIR while eating lunch. I checked the log and it showed 40 hours since my last contact. After lunch I put the fiberglass poles back on the main SteppIR yagi and reinstalled the ends of the wire antennas. I then made a few FT8 contacts before dinner. It felt good to be fully back in the game. Photo 6 – Fiberglass tubes reinstalled back onto the main 3-element SteppIR after returning from Tropical Storm Gordon evacuation. Three stations passed me in the September monthly point total – A41ZZ, S52D, and CT3MD. S52D was way ahead so I wasn’t concerned with him and the others aren’t Chasers. Several Chasers did gain on me for the month – N0UR, KJ3L, and N2BJ were nipping at my heels so I needed to get back at it. Looking at the WA7BNM Contest Calendar, I saw both the WAE SSB Contest and NA CW Sprint were coming up for the weekend. I didn’t think I would gain much in the European phone contest, so I made plans to work the Sprint Saturday night. I worked nearly 80 stations Saturday morning on 160, 80 and 40-meter FT8 before the sun came up. You normally don’t think of operating on 160 meters in the summer months, but with FT8, you can work top band all year long. I then tried working some European stations on 20-meter SSB in the WAE contest after sunrise but the band was not great. I only found one station so I immediately went back to FT8. Sharon wasn’t feeling well, so I was tasked with running errands and doing the grocery shopping. Since I don’t know where everything is in the store, it took me a while to “make groceries” as we say here in Louisiana. It was well after lunch before I got back to the shack. The ARRL September VHF Contest also took place that weekend. After seeing 6-meter activity showing on pskreporter.info, l checked the band several times throughout the day but didn’t find any signals. I missed the first hour of the Sprint but finished with 148 contacts. That was good for me. On Sunday, I didn’t get out of bed until sunrise so missed anything on 160 that morning. With 6, 10, and 12 meters shut down, I felt lucky to find activity from South America on 15 meters. It was a good day for FT8 and by the end of the weekend, I had moved back to 3rd for the month behind perennial leaders K3WW and S52D. Screenshot 8 – Another area of disturbed weather forecast to enter the Gulf of Mexico. Where will it go? 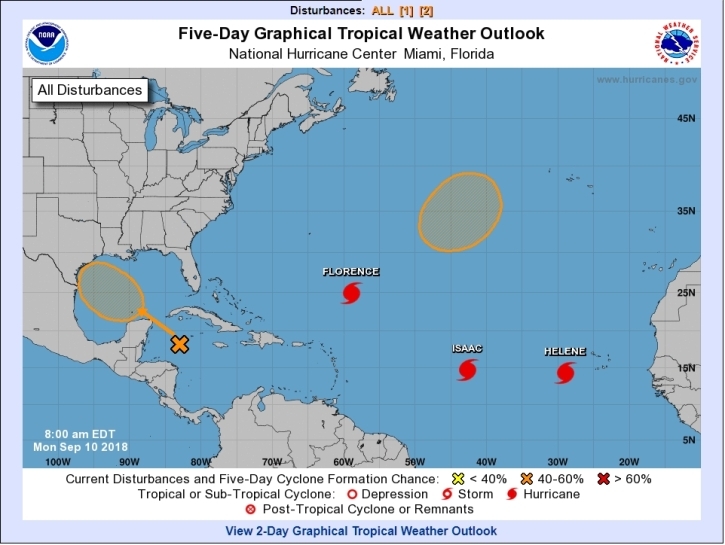 On Monday, September 10th, the National Hurricane Center was tracking three hurricanes and an area of disturbed weather in the western Caribbean Sea that was forecast to come into the Gulf of Mexico. September 10th is also the official peak of hurricane season. I didn’t like the looks of Hurricane Isaac as it was taking a due west course. The last storm named Isaac was a hurricane in 2012 that destroyed the 30/40-meter add-on to my first ever 3-element SteppIR yagi (see photo 7). The power was out for several days but luckily we had evacuated to Houston with the 3 cats. Hurricane Florence, once called a “fish storm” with no threat to land, was now taking aim at the US Southeastern coast and was expected to be a catastrophic Category 3 or 4 storm. The good folks in the Carolinas were going to get slammed and all I could do was pray for them. Officials were calling it the “storm of a lifetime”. Photo 7 – 3-element SteppIR yagi damaged by Hurricane Isaac in 2012. Another hurricane is named Isaac in September 2018 and headed toward the Caribbean. On September 11th, the A index jumped to 21 and the next day it went to 35 as a result of a geomagnetic storm caused by Coronal Hole High Speed Streams (CH HSS). Frequencies 20 meters and higher were affected so everyone was crammed on the low bands. On Wednesday evening, September 12th, I took part in my first ever CW Ops Test (CWT) and made 66 contacts in that one hour – all S&P with a single radio. I thought that was pretty good and it was nice to get more CW contacts in the log for September. Meanwhile, forecasters downgraded Hurricane Florence to Category 2 as it neared the North Carolina coast. Regardless, they were still going to take a punch. Florence made landfall on the morning of Friday, September 14th as a Category 1 storm near Wilmington, NC. 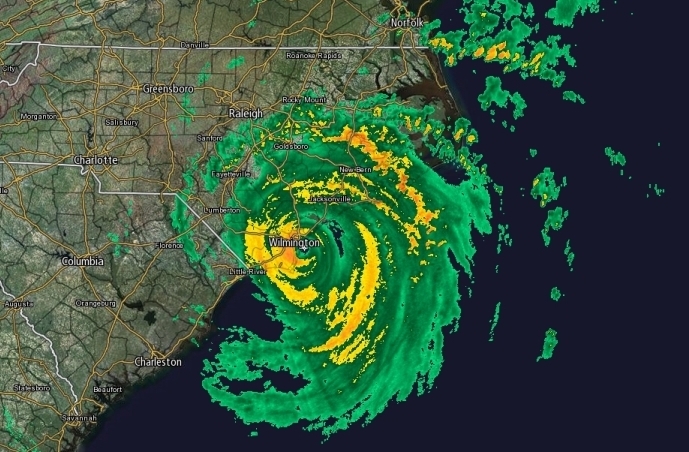 Screenshot 9 – Hurricane Florence makes landfall near Wilmington, NC on the morning on Friday, September 14th. 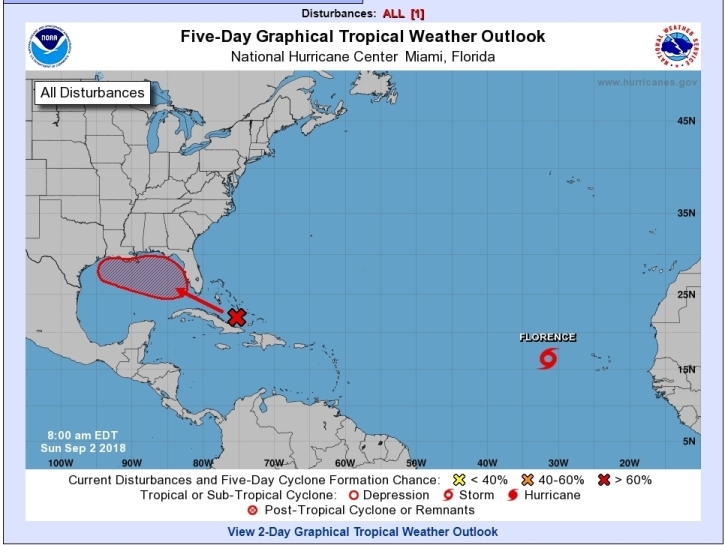 Closer to home, in the Gulf of Mexico, the area of disturbed weather in the western Gulf remained disorganized and moved into the southern Texas coast without much fanfare and Isaac dissipated before reaching the western Caribbean. The A index remained high throughout the week and by Saturday, September 15th, it was 16. Conditions were not great and there were no major contests that weekend. I put in an hour and a half into the North America RTTY Sprint Saturday evening. It was slow so I went back to FT8. On Sunday, the A index was still high at 8. I tried operating the BARTG Sprint75 RTTY contest. After struggling to work 16 stations, I moved back to FT8 where I would find Europeans on 17 and South Americans on 15 meters. It’s obvious that low sunspots and high FT8 popularity have hurt smaller RTTY contests with low participation. Conditions were improved a bit on Sunday and I worked several new grids on 17 meters into Europe and 15 meters into South America again. Still, my totals for those two bands for September were woefully low. 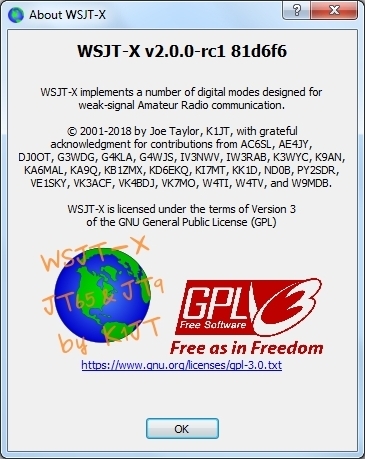 On Monday, September 18th, I installed the new beta release of WSJT-X and made a few contacts with the new 77-bit “information payload”. It was exciting to see the advancement of FT8. The new version allows for contest exchanges in a limited number of contests. Screenshot 10 – New beta version 2.0.0-rc1 of WSJT-X was released in mid-September and offers new features. On Wednesday night, September 19th, I took part in CWT again. This time I worked 75 stations. Even though I worked some of the stations I contacted the previous week, I purposely sought out new ones and included 13 stations on 160 meters. For the day, I made about 150 contacts. I saw on the WA7BNM Contest Calendar that the FOC (First Class CW Operators Club) QSO Party was taking place the coming weekend. It would be a good opportunity to get more CW contacts in the log. I got a late start to the FOC QSO Party Friday evening and then on Saturday, the A index was 8 and the K was 4. Conditions were so poor, I was begging the wife to ask me to take her shopping. Guess what. She did! Seven hours later I was back at the radio for the last hour of the contest. In all I worked 108 stations on 20, 40 and 80 meters. On Sunday, the A index shot up to 27 as a result of Coronal Hole High Speed Steams again. I found some new grids to work on 20, 30 and 40 meter FT8 that afternoon when I noticed activity on 10, 12 and 15 meters. The high bands were open to South America and I worked a few stateside stations on what could have been a weak E-skip opening. During the last week of September, conditions were not good. Finding new stations to work on FT8 was difficult. I spent some time testing the new version of WSJT-X and on Wednesday evening was the first ever test of using FT8 in the RTTY Roundup mode. In just over an hour, I worked 46 stations using two radios. It was an interesting experiment and proved to me that FT8, in its present form, is not fastest enough for contesting. By comparison, RTTY is much faster. Speaking of RTTY, the biggest RTTY contest of the year – CQ WW RTTY – took place the last weekend of the month. In 25 hours I worked 1536 stations. Not knowing how many grids I would net, I hoped for at least 300 new ones. Since I had the most populous grids already confirmed via FT8, I just didn’t know what to expect. The next morning numbers showed I had gained 333 new grids. I was happy with that knowing the number should go up. On Monday morning, October 1st, I was fourth for the month behind K3WW, S52D and A41ZZ. It was a good month and pretty good 3rd quarter. One more quarter to go. As they say in sports, it was time to “finish strong”. Continue on to Quarter #4 here.